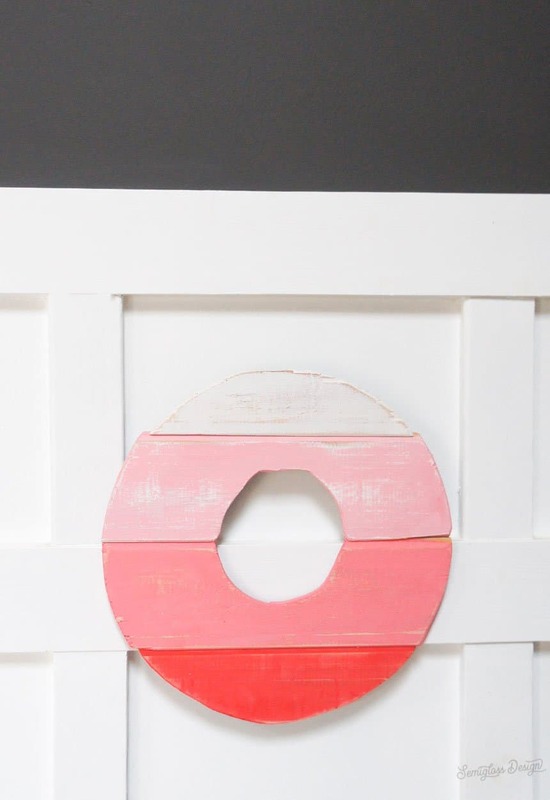 Learn how to make an ombre wood wreath for Valentine’s Day. You might also like these conversation heart mugs! 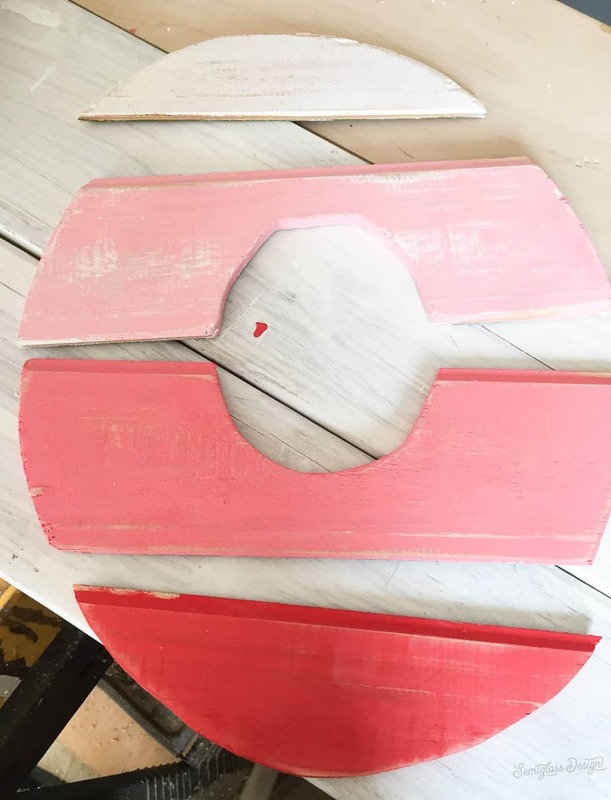 I wanted to make a Valentine’s wreath that didn’t involve flowers or hearts. 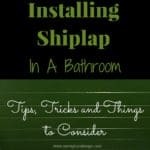 So why not go in the complete opposite direction and use wood? 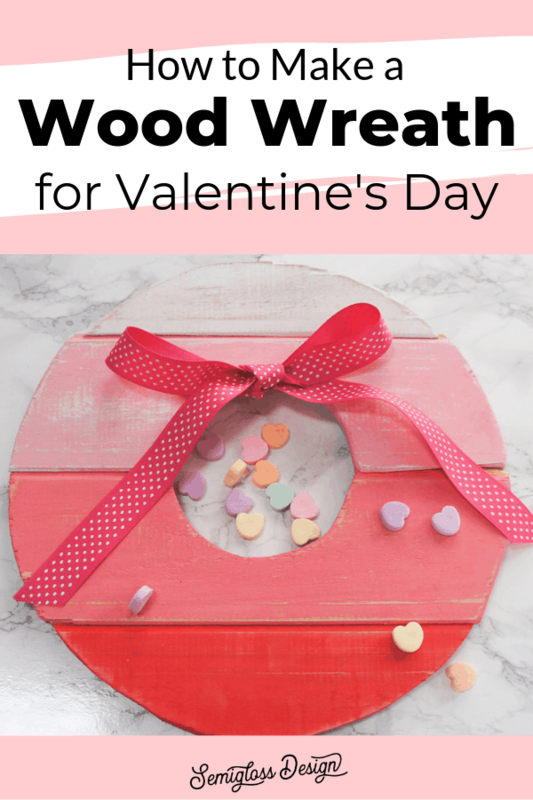 This wood wreath is painted with an ombre color scheme to give it a Valentine’s feel, but it could easily be changed to any other color for other holidays or occasions. Blue ombre would be gorgeous for a summer look! 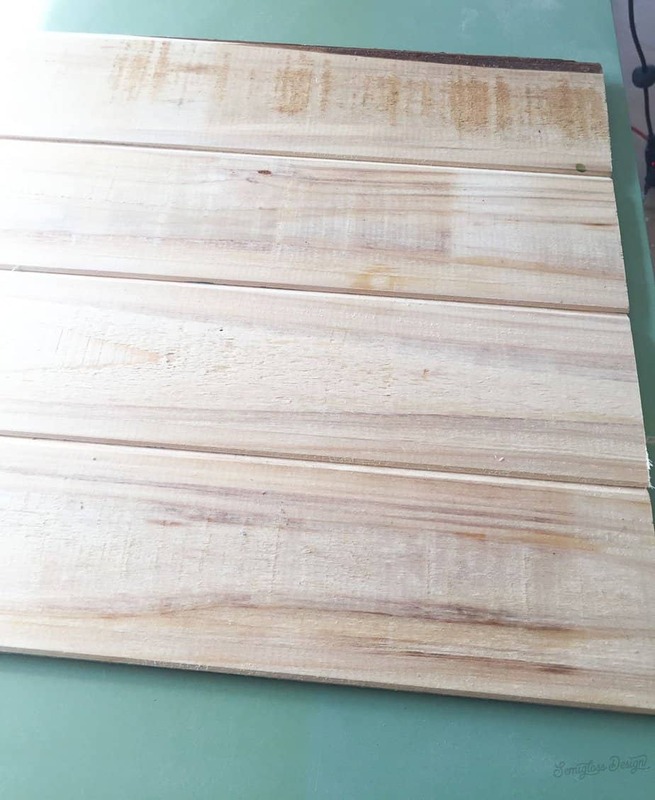 Lay out your scrap wood. 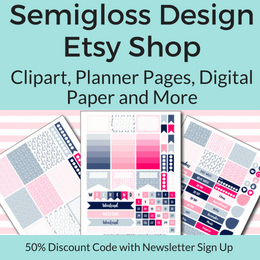 Each piece needs to be about 18″ long. 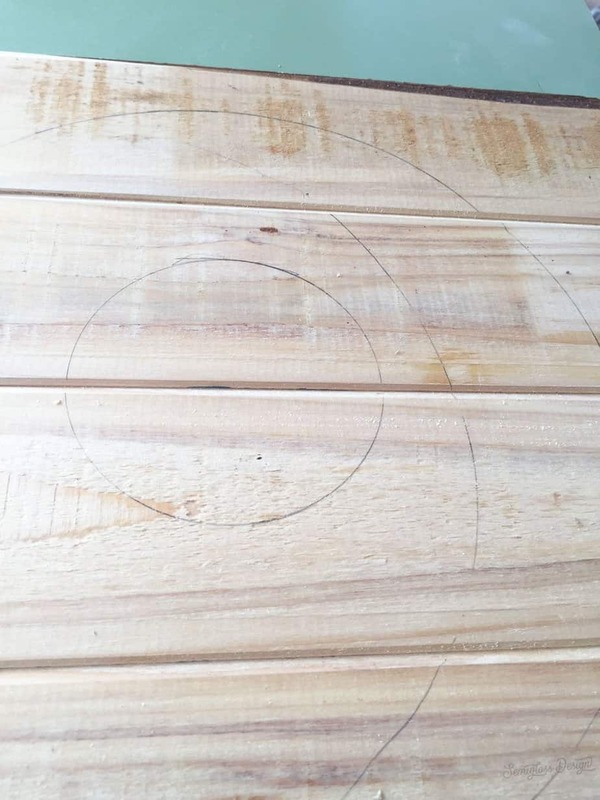 Use something round to trace a circle on the wood. I used a plastic bucket. Trace a circle for the inner circle as well. 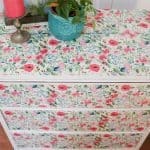 I used a quart paint can. 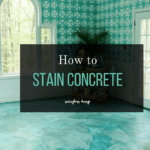 Your edges will be super jagged, so sand them well. 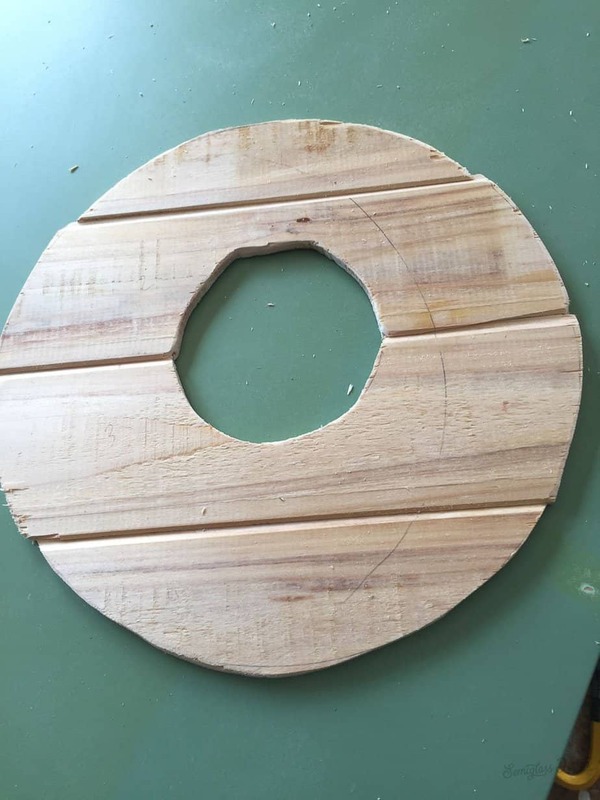 Don’t forget the inside of the circle as well! 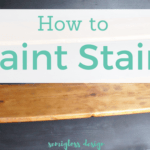 Once sanded, paint each strip of wood. I painted the bottom one in Devotion and the top one in Simplicity. For the pink ones in the middle, I mixed the red and whites together in different ratios to get the different colors of pink. 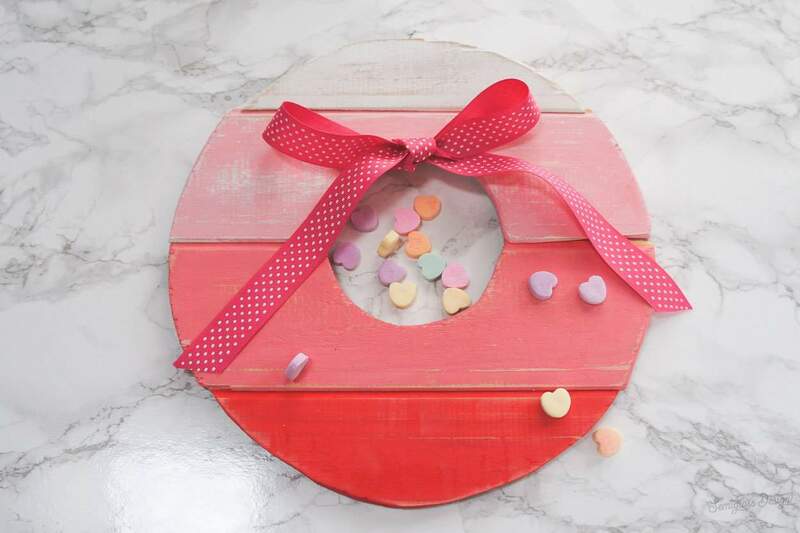 The red, pink and white combo is perfect for a Valentine’s wreath! 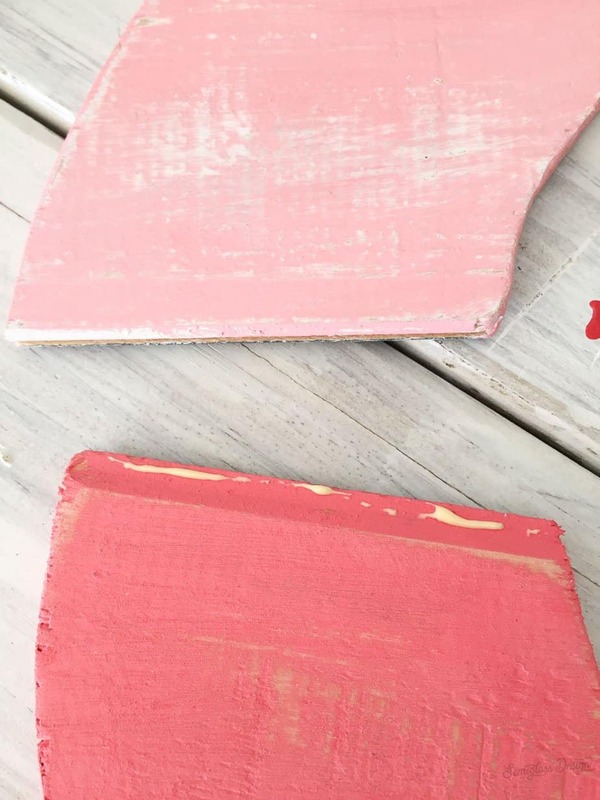 Once the paint dries, distress the wood with sandpaper for a rustic look. 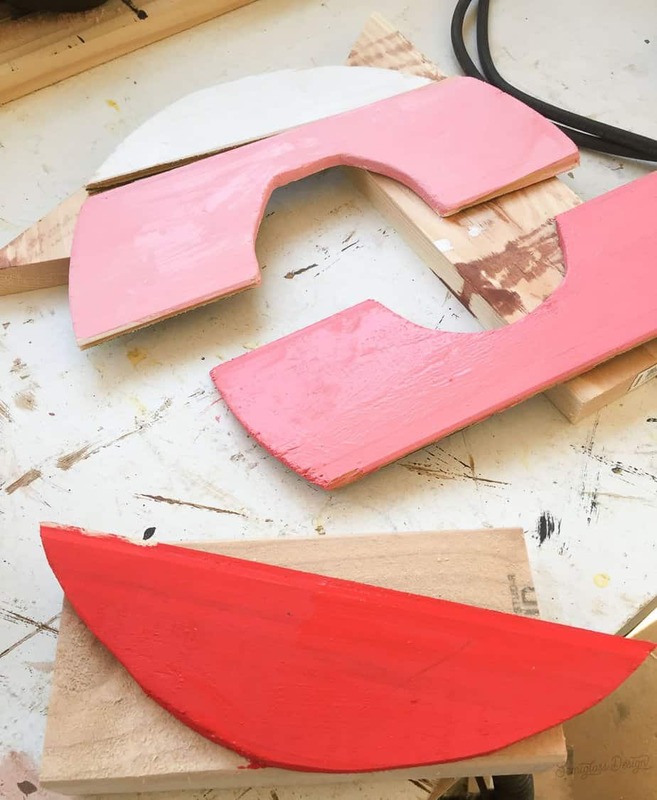 Attach the wood together to form a wreath by applying wood glue to each tongue. Then press it into the corresponding groove. Be sure to wipe away excess glue. To add more stability. 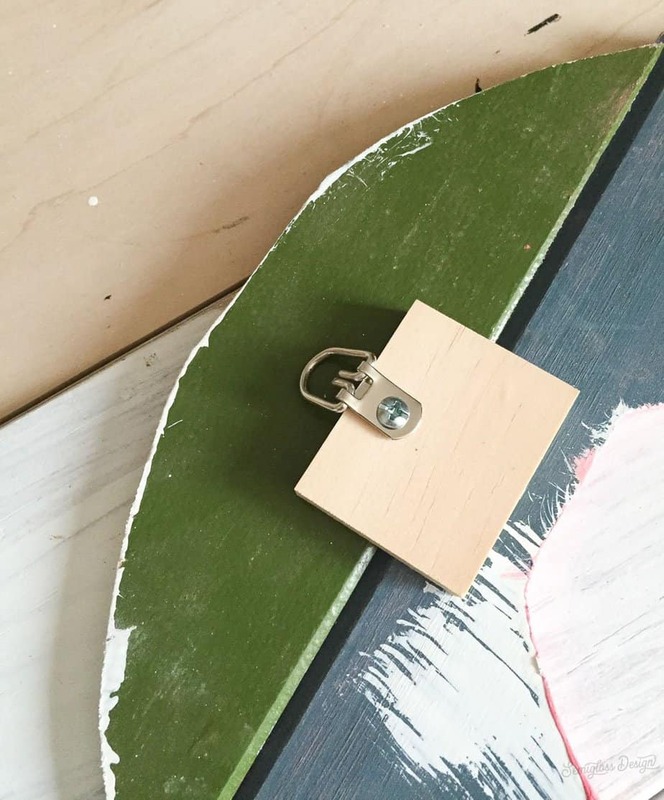 flip it over and add small pieces of scrap wood. Then attach them with wood glue over each seam. Place something heavy on them while they dry. 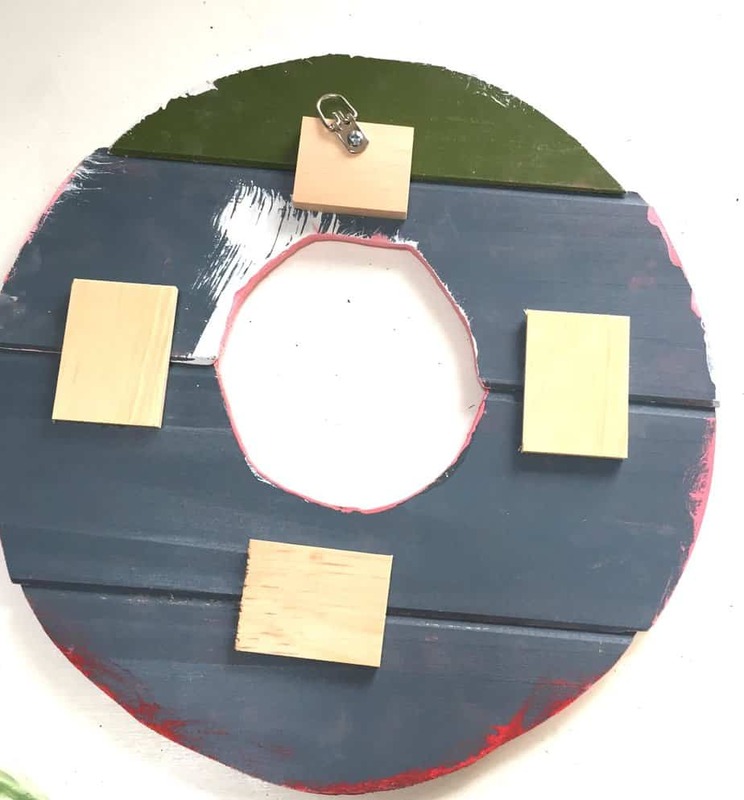 Once dry, attach a D-ring to hang the wreath. To disguise a less than perfect cut, I decided to add a ribbon. Just attach it with hot glue. You could also tie it around the wreath! 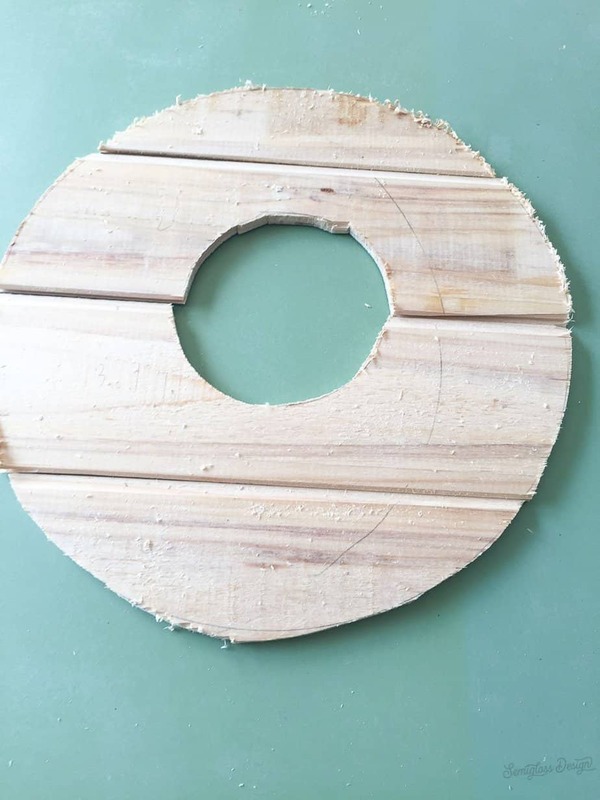 Hang your wood wreath and enjoy!